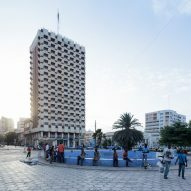 A current show at New York's Center for Architecture reveals how several sub-Saharan African countries used modernist architecture to assert their identities, following a break from colonial rule in the 20th century. 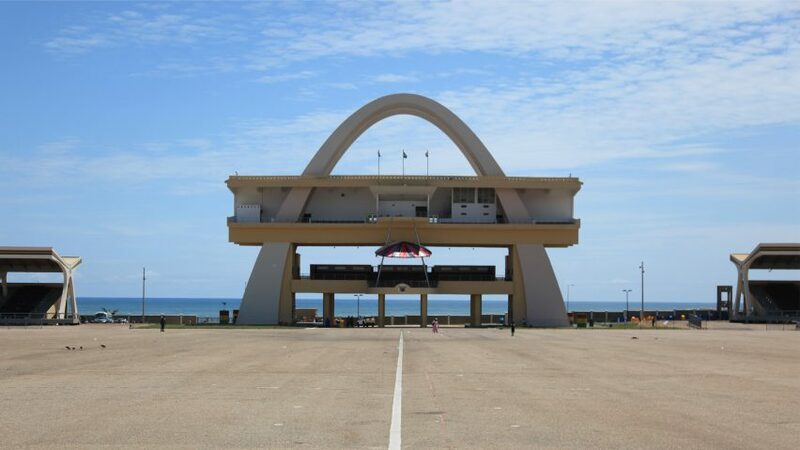 The exhibition, Architecture of Independence – African Modernism, explores the history and legacy of modernist architecture in Ghana, Senegal, Côte d'Ivoire, Kenya and Zambia. 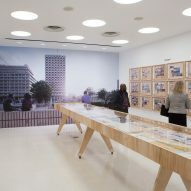 Curated by German architect Manuel Herz and first presented in 2015 at the Vitra Design Museum, the exhibition aims to convey how modernist architecture was used as a tool for expressing national identity as countries became liberated in the mid 20th century. 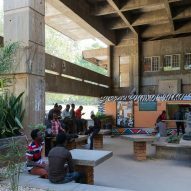 "Between 1957 and 1966, 32 countries – almost two thirds of all African nations – gained their independence from colonial powers," said the Centre for Architecture, which is run by New York City chapter of the American Institute of Architects. 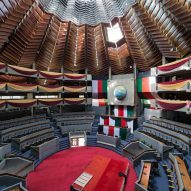 "The daring and ambitious designs of new buildings, from state banks to convention centres and stadiums, mirrored the optimism and aspirations of the newly liberated states." 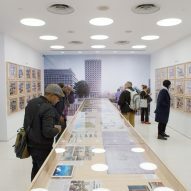 Nearly 80 buildings constructed in the 1960s and 1970s are featured in the show. 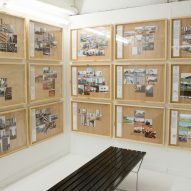 Stories are conveyed through a range of materials, such as newspaper clippings, postcards, videos, plans, sketches and historical photographs. 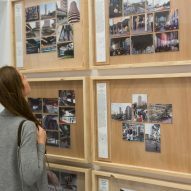 The show also includes current-day photographs Iwan Baan, along with images by the South African documentarian Alexia Webster. 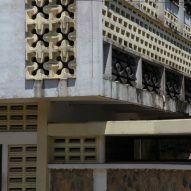 While the buildings embodied a sense of empowerment, only a handful of local architects were actually commissioned to the design them, such as Pierre Goudiaby Atepa, Chiekh N’Gom, and Pierre Fakhoury. The buildings' designers were mainly based in Western countries, including England, France, Scandinavia and the United States. Later, architects came from Eastern Bloc nations such as Poland, Hungary and Yugoslavia. 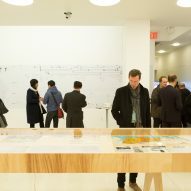 "These contradictions reflect the complex nature of post-colonial construction, with myriad sources providing design services and planning expertise to these new nations in collaboration with local planning bureaus, builders and designers," the centre said. The show runs until 27 May 2017. 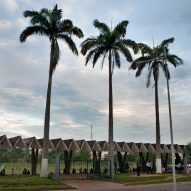 A series of related events will be held at the centre, including a lecture on 15 March 2017 by Baan, and a talk on 18 April 2017 by Nigerian architect Kunlé Adeyemi, founder of the firm NLÉ. 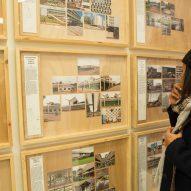 The centre will also host a symposium on 22 April 2017 that is organised by the directors of the Global Africa Lab at Columbia University's Graduate School of Architecture, Planning and Preservation. 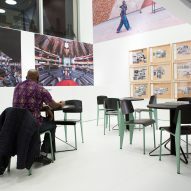 Previous exhibitions related to architecture in Africa have included a show at Copenhagen's Louisiana Museum in 2015, which presented a sweeping survey of contemporary architecture and design in Sub-Saharan Africa.